Sheggzz!! A young new exciting and versatile singer-songwriter-rapper with a mix of both Nigerian-British heritage. Sheggzz is no stranger to some, his most famous for being a childhood star, staring in adverts for the Nido and Nestle as well as his recent interviews for 'VendrediTV' (a fast right media Afrobeat company - which he co-owns; his worked with the likes of Shank, Sneakbo, Ajebutter, Duncan Mighty and a few others). Not only that, but Sheggzz was also the face of a webisode series titled 'Road to the Wizkid tour' back in June of 2012 - prepping up to the Wizkid Starboy UK tour! 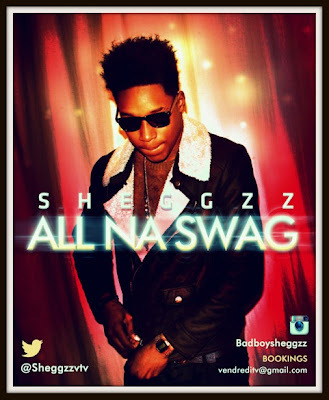 With always having an interest in music, Sheggzz has officially released his first single 'All Na Swag' which was produced by duo 2Kriss. This new catchy song shows his versatility in his music, being able to both rap and sing and enfuse Afrobeats as well as Urban Hip Hop all in one.